Magnificent photo of this beautiful and regal creature! How perfectly the stag blends into his background! 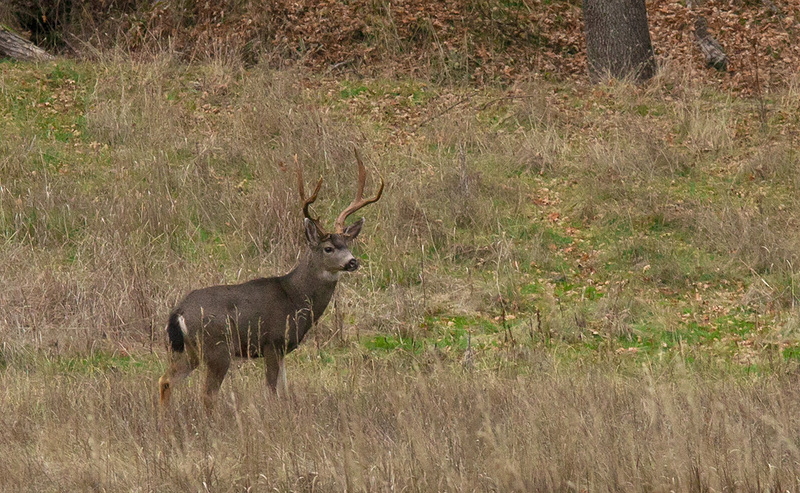 His antlers and the leaves on the ground are exactly the same color. He stood so still for the photographer--hard to get an animal shot in such perfect focus. Yum yum, looks good enough to eat. strangely enough calif.only counts one side this is a forked horn ,or a two point ,one more point on a side would be a threepoint ,back east they count all points .